In August, StogieGuys.com traveled to New Orleans to report live from the 78th annual International Premium Cigar and Pipe Retailers Association (IPCPR) Trade Show—the premier industry convention where cigar makers from around the world showcase their products and debut their new creations. Dozens and dozens of reviews were published after the trade show concluded as the online cigar community and the mainstream cigar media scrambled to satiate readers’ appetites for information on the newest market entrants. 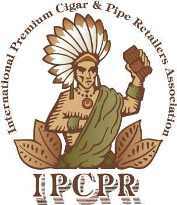 True, over sixty percent of the reviews StogieGuys.com published in the last three months have been of 2010 IPCPR debuts. The dust is finally starting to settle. As it does, we reflect on the trade show and reveal our favorite new releases to date. They are listed below in no particular order. J. Fuego Origen: While several limited edition Origen vitolas were leaked to the market over the last two years, the full Origen lineup wasn’t officially introduced until this summer. It boasts 100% Cuban-seed corojo tobaccos with a Costa Rican binder, a two-country filler blend from Honduras and Nicaragua, and a toothy Brazilian wrapper. The blend yields excellent combustion qualities and flavors of coffee beans, nuts, dry wood, and sweet caramel. The Lancero ($6-7 apiece) is particularly enjoyable. La Aurora Guillermo León: This line just keeps getting better the more you smoke it. The blend’s namesake, La Aurora Vice President Guillermo León, says he “wanted something with deep complexity yet also a stronger smoke than most of our offerings.” The result is a dual binder, Ecuadorian habano-wrapped treasure that burns well and sells in the $7-10 range. Flavors range from milk chocolate and spice to earth and syrup. Be on the lookout for this cigar as it starts hitting tobacconist shelves nationwide. Toraño Single Region Serie Jalapa: To construct this unique offering, the Toraño Family Cigar Company applied a vintner’s approach to cigars, using tobaccos grown on one carefully selected farm. The intention, according to a press release, is to have the blend’s flavor and aroma reflect the influence of a single region’s soil, weather, and topography. The experiment produced a reddish, well-built cigar with a medium-bodied profile of tea, leather, toffee, cream, and nuts. The Single Region’s three traditional sizes sell for less than $7. San Lotano Habano: A.J. Fernandez’s first solo, nationally distributed project is San Lotano, a revived Cuban brand that’s available in three versions: Connecticut, Maduro, and Habano. The latter is the best, displaying a complex array of flavors like cedar, roast coffee, leather, and caramel. Its Brazilian, Honduran, Nicaraguan, and Dominican tobaccos burn well. The San Lotano Habano may be best in the Toro format, which sells for $8. While the StogieGuys.com team has sampled many of this year’s new releases, we haven’t yet had the time to thoroughly examine everything that debuted at the 2010 IPCPR Trade Show. So please feel free to let us know if we’ve missed one of your favorites. Meanwhile, check back tomorrow as my colleague reveals the second half of our favorite 2010 releases. I will add a couple of quick notes to what Patrick A said. 1.) The J. Fuego Origen soft-packs are also excellent and a real bargain at $2-$3 a stick. 2.) The E.P. Carillo Core Line in addition to the ones mentioned above is one of my favorite releases from the show. I'd have to say I'm a big fan of the E.P. Carrillo core line. The more I smoke it, the more it grows on me. And so far I've enjoyed all the vitolas I've tried. I hear good things about the Edicion Limitada 2010, but haven't got my hands on one yet. It's probably something worth checking out.